Selecting of the songs with chain-function or selection-software: "Orgaliwa"
The MIDI-Recorder waits at the beginning of the first song for the start-signal. At the end of the song the Recorder stops itself, changes to the following song and waits for the next start-signal. 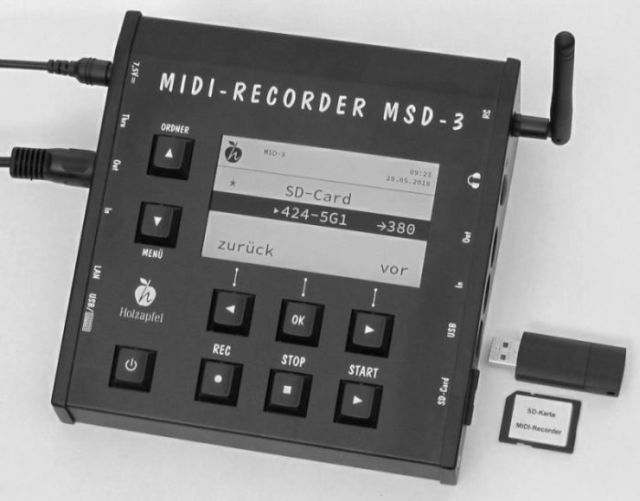 It's possible to program the recorder with a registration-list of your organ. So you can use our standard-MIDI-files and the stops of your list will sound.